Deadline Extended untill APRIL30 2019. 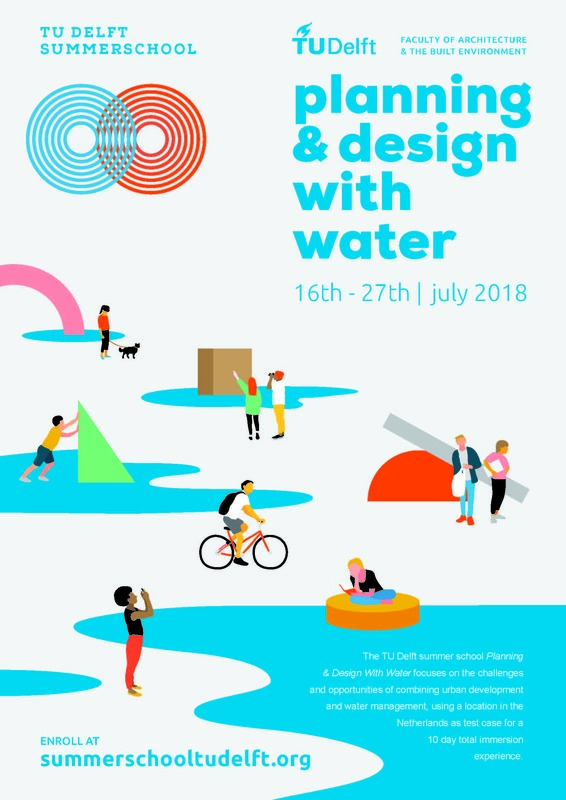 Starting from 2016, the Department of Urbanism of the TU Delft provides one full scholarship to students from Sub-Saharan Africa aged between 22 and 28 to participate in the Summer School. From 2017, Delft Global Initiative will provide one scholarship for one excellent African student to attend the Summer School. The scholarships cover travel costs, accommodation and daily costs during the Summer School (meals and transportation). We are looking for exceptionally motivated individuals with excellent communication skills, leadership qualities and capacity to work in a group in a collaborative way, who can demonstrate they will give a notable contribution to the Summer School and who can act as multipliers of the knowledge acquired at their home institutions. Selected students are expected to act as ambassadors for TU Delft, the Department of Urbanism and the Delft Global Initiative and will help promote our learning philosophy and values. This scholarship is only available to students from Sub-Saharan Africa . We strongly encourage female students to apply . (Please read our “diversity and opportunity” policy HERE). Application for the scholarship ARE OPEN FROM 1st FEBRUARY to 30 APRIL. Open call for students in Sub-Saharan Africa (January 10th 2019). Evaluation of CV, letter of recommendation, letter of motivation and short video from students (After April 30 2019). Students will be provided with an invitation letter and assistance to obtain a Dutch visa. Visas are granted by the competent Dutch authorities and TU Delft has no say in the process. Students will be expected to travel to the Netherlands in July 2018 (exact dates will be announced later). 800-word letter of motivation. How can you contribute to the Summer School and how would it impact your studies? Please check our PAGE on how to write a good motivation letter. Letter of recommendation from a teacher in your institution, including her/his name, position, department and contacts details. This teacher should vouch for you. Your official grade summary, issued by your institution. 3-minute video introducing yourself. You can use your smart phone to make the video. Please check our PAGE on how to make a good introduction video. PLEASE SEE HOW TO APPLY HERE. I am a graduating student from EiABC, Addis Ababa University, currently working on my final thesis. Besides achieving good grades, I participate in voluntary community organisations that help low income groups of society by building low-cost houses, collecting funds and also consulting services. I have hobbies like knitting, and designing traditional cloths as a contemporary fashion. I also have great communication and leadership skills. I was a coordinator and a team leader in group works and workshops for almost all my school years. I wanted to participate in the TU Delft Summer School for three main reasons. First, I do hold a deep interest in the most fundamental aspects of the planning and designing with water; as well as a goal to devote my professional career towards understanding them. I explored the application of water in urban design by researching cases in European countries, especially from Dutch and Belgium. And throughout my experience, I realized that I need first-hand experience from these countries. 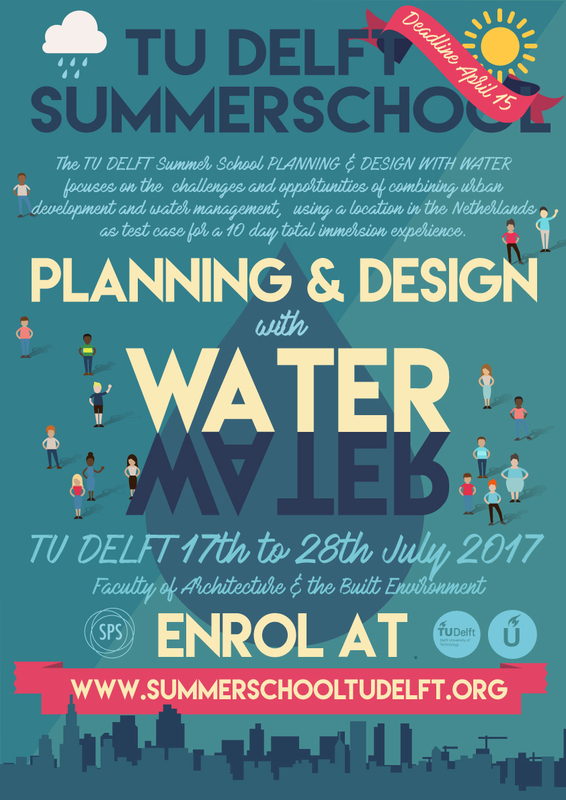 And TU Delft summer school is the best scenario. Second, Ethiopia is in a rapid developmental change. Cities are changing and new towns are emerging by bulldozing the old. The tension from the government for environmentally sensitive design is evident. Third, Holland is one of the best examples of water based city development. Through my research, I noted engineering and environment conscious solutions that the world should learn from. It is my dream to study these solutions and apply it to my developing country. The summer school will benefit in many ways. I would be captivated to grasp an inside look at a modern and top notch program at TU Delft. It is quite evident that the experiences gained, both by the hands-on experience on topics of my interest and by the guidance of leading experts in the area. I firmly believe that curricula of the summer school will provide answers to my questions regarding my design profession in Addis Ababa. Furthermore, the diversity of students and teachers enrolling in this school will aid me in engaging in extensive discussion that could broaden my views, build my skills and make friends. In my point of view, the challenge of cities in the 21st century is the neglectfulness of evolving man made intervention onto the natural environment creating crisis at both land use pollution and atmosphere depletion. Hence, as an architect and planner, I believe that water is a sensitive issue of urban areas, and the future of our cities should be targeting at designing for sustainability. The first recipient of the Summer School Scholarship was Fitsum Abera Angasa from the EiABC in Addis Ababa, Ethiopia. “Hello! My name is Fitsum Abera Angasa. I was born in Addis Ababa, Ethiopia, in 1989. In 2007, I joined the Ethiopian Institute of Architecture, Building Construction and City Development of the Addis Ababa University ( AAU – EiABC), and I got my bachelor in Architecture and Urban Planning in 2013. After two and half years in the practice, I got the chance to be an assistant lecturer at EiABC, in the chair of Basic Architectural Design in 2015. I am really interested to assist students and I love my work. I was so excited when I was selected to receive a scholarship for the Summer School Planning and Design with Water. The summer school helped me learn the core values and processes in spatial planning and design. The summer school was well coordinated with many lectures by TU Delft professors, researchers and government officials, as well as site visits. We also worked in a group project which deals with water issues in Scheveningen, a harbor area, located in the west of The Hague. This scholarship is provided by the Delft Global Initiative. “Delft Global Initiative focuses on problem-oriented interdisciplinary technical research on pressing societal challenges in the developing world, to meaningfully improve lives of people living in poverty”.